Buy 10 and save 3% To see product price, add this item to your cart. You can always remove it later. Buy 25 and save 2% To see product price, add this item to your cart. You can always remove it later. Buy 50 and save 2% To see product price, add this item to your cart. You can always remove it later. Buy 100 and save 3% To see product price, add this item to your cart. You can always remove it later. 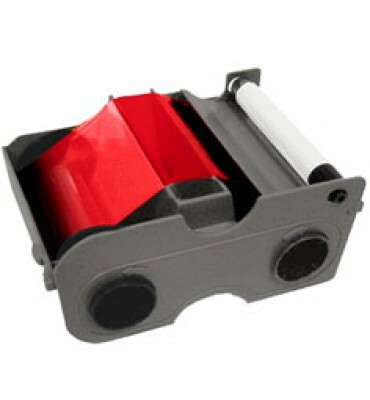 The Fargo 86207 Red Resin Ribbon is a Monochrome (single-color) ribbon. Monochrome ribbons are used primarily for line art, text and single color artwork.